In a few brief months in late 1968, a mass movement challenged the Unionist government at Stormont and briefly posed the possibility of a revolutionary transformation of society here. 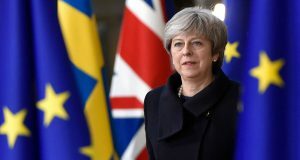 Young people, in particular, rejected not just the misrule of the Unionist Party but also the deadening conservatism of the equally sectarian Nationalist Party. They turned to the ideas of socialism, seeking a way forward in the struggle for civil rights, and a life free from poverty and unemployment. 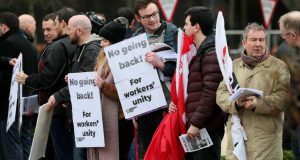 Unfortunately, this opportunity was squandered by the leadership of the trade unions, the Northern Ireland Labour Party (NILP), and other left forces. The key event in this period was the Duke Street march in Derry on October 5th 1968 – fifty years ago this month. The RUC attack on the marchers that day was the catalyst which allowed the accumulated anger and discontent of the mass of the Catholic working class and youth to pour through. This was the case because of the context in which the march took place. During the sixties, sectarian division had diminished significantly. There was more mixing of Catholics and Protestants in the workplaces and more integration of housing. This helped to open up a space for socialist ideas – that is, for ideas which united working people as they increasingly came to realise that they had much in common with each other. Relatively high levels of employment and associated high levels of trade union membership were key drivers for change. Trade unionists became more confident, sensing that offensive action would gain results. Industrial militancy increased. This process was also seen in the Republic, where there was a huge upsurge in workers struggles, creating the basis for unity in struggle between North and South. The increase in the numbers and militancy of trade union activists was reflected politically by the growth of the NILP and other left parties. Whilst the NILP had profound weaknesses, it did influence many of the best working-class activists and provided a vehicle for their aspirations. Electoral success was also achieved by candidates standing under a variety of other labour banners and, in an historic step, these labour formations came together with the Irish Labour Party, then growing and moving to the left, in an all-Ireland “Council of Labour”. The trend away from sectarian politics and in favour of class politics was reinforced by the impact of international events. The year of 1968 was dominated by the May general strike in France, involving ten million workers when President de Gaulle fled the country, openly voicing his fear that the game was up for capitalism. In August 1968, a civil rights march took place from Coalisland to Dungannon. When the 2,500-strong march reached Dungannon, its front ranks came up against a police cordon barring the way into the town square, where a Paisley-organised counter-demonstration waited. The contrasting speeches from the platform illustrated the class tensions opening up in the civil rights movement. Some speakers were careful to avoid any hint of sectarianism, in particular NILP councillor Jack Hassard, who stated that he stood for “civil rights for all people”. Scandalously, future SDLP leading figure Austin Currie talked in terms of ‘them and us’ and jibed about ‘Orange bigots’. The Dungannon march passed off peacefully. It was the march in Derry on 5th October which was to transform the situation entirely and turn the struggle around the broad banner of civil rights into a mass movement. 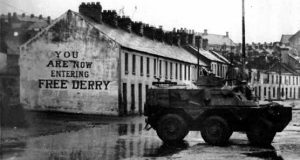 The decision to go for a demonstration was, in the main, taken by the young activists organised around the Derry Housing Action Committee. Among the most prominent of the organisers was Eamonn McCann, a leading spokesman of the leftward-moving Derry Labour Party. When the organisers approached John Hume and James Doherty, a prominent Nationalist councillor and businessman, and asked them to sign the notification to the police of the march route, both refused. On the day, 400 turned out in Duke Street. When they tried to march towards the Craigavon Bridge the police blocked their path. The marchers sat down singing ‘We Shall Overcome’ and the RUC closed in ruthlessly, beating everyone in their way. A TV camera was on hand to capture the images of police brutality and an explosive mood gripped Catholic areas, but also gained the sympathy of large numbers of Protestants, particularly the young. If the anger of the working class, Catholic and Protestant, had been harnessed in a united movement, Unionism and Nationalism could both have been swept aside in the succeeding months. What was required, first and foremost, was the putting forward of a class programme which could unite workers in action against sectarianism, state repression and poverty. A fighting, socialist leadership, drawn from and representing both the communities and the mass workers’ organisations, the trade unions and left parties could have come to the fore. The days immediately after 5th October saw opportunities for such a leadership to seize the initiative. A call was issued for another march on the following Saturday, and for a one-hour stoppage of work throughout Derry on 11th October. If the Labour and trade union leaders had taken up this strike call, they would easily have succeeded in paralysing the city. Instead, they urged restraint, calling for a 30-day cooling-off period during which there would be no demonstrations. A vacuum opened at the top of the unfolding mass movement. This was quickly filled by a group of middle-class politicians in the making – John Hume and his allies. The first decision of this group was to revoke the call for another demonstration in favour of a sit-down protest outside the Guildhall. Signifying the dramatically changed mood, 5,000 participated in this protest. Protest was now spreading. A few days after Duke Street, 3,000 students marched from Queen’s University to Belfast City Hall. Finding their way blocked by police, they held a sit-down protest before holding a meeting which decided to establish a new organisation called People’s Democracy (PD). Over the next weeks, the PD organised pickets, occupations and marches. It tapped the angry mood among students, both Catholic and Protestant. While mainly student-based, it attracted a small layer of working-class youth. With momentum growing behind the protests Unionist Prime Minster Terence O’Neill retreated and announced a package of reforms on 22nd November. This however was too little, too late. What previously might have been acceptable was now not enough. Nevertheless, the first phase of the struggle had ended. The masses paused to draw breath and evaluate the experience. Not a single one of the fundamental problems had been resolved and a new upsurge was only a matter of time. In the months that followed, the forces of sectarianism came to the fore. Tragically, many of the generation of Catholic youth who had come behind the civil rights movement were in time to join republican paramilitary groups. Most believed they were fighting for a socialist, united Ireland and were motivated by the conditions they lived in, of endemic poverty and chronic unemployment. The path they took was the wrong one, their struggle was never going to succeed in its stated aims, and would only increase sectarian division. On one level, responsibility for the direction which thousands of young, working-class Catholics took, and the mayhem and bloodshed which dominated the 1970s and 1980s, lies with the leadership of the NILP and the trade unions. The result of their inaction and betrayal was that many young Catholics saw no alternative to picking up a gun in order to hit back at the state. 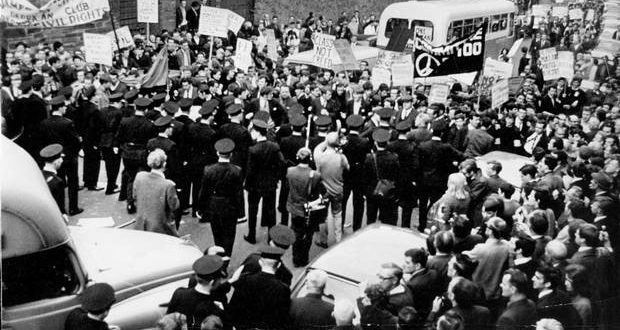 There was an alternative, however, and when new, united mass movements of working-class people emerge in the months and years ahead, it is vital that we learn from the revolutionary events of 1968. Ensuring that such movements are armed with socialist ideas – of the importance of class unity, and conscious anti-sectarianism – is vital if these movements are to challenge the sectarian parties and transform society forever.